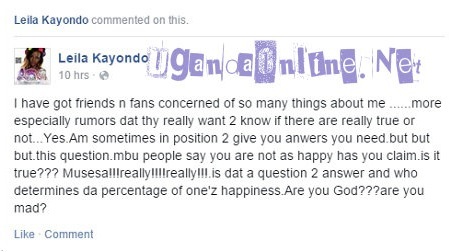 Leila Kayondo has some concerns as revealed in her latest post. The Kuzina Nawe singer notes that some of her friends and fans are demanding to know things in her life which makes her doubt if they are really friends. Her biggest worry right now are the fans who say that she is not as happy as she claims. The ex-Dream Galz member wonders who determines one's happiness and she is forced to ask, Are you God or you are mad? 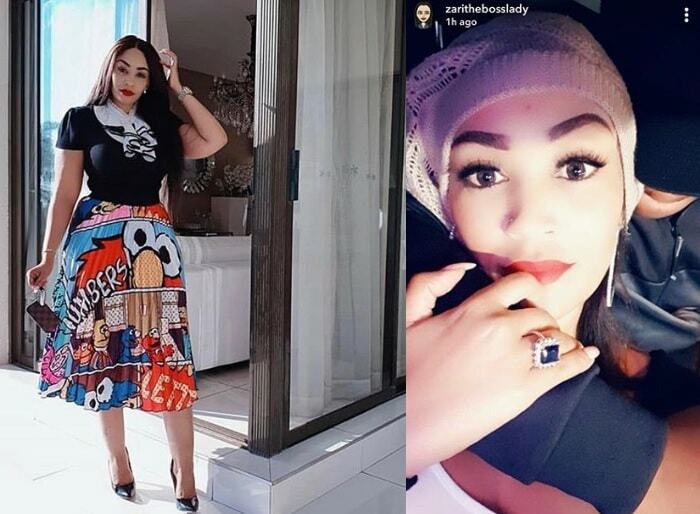 "Fake friends, don't think you will win my trust by telling me what my haters say or think about me.Yes am talked about by most," she added. 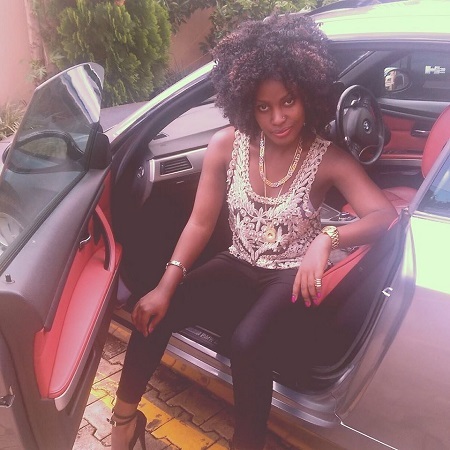 Leila Kayondo is dating a South African based Ugandan businessman, SK Mbuga, who has done quite a lot in elevating her music career to the next level. Leila has two collaboration songs with Chameleone, Relaxing and Hooray, and as you may be aware, this does not come easy especially when it's the music doctor. 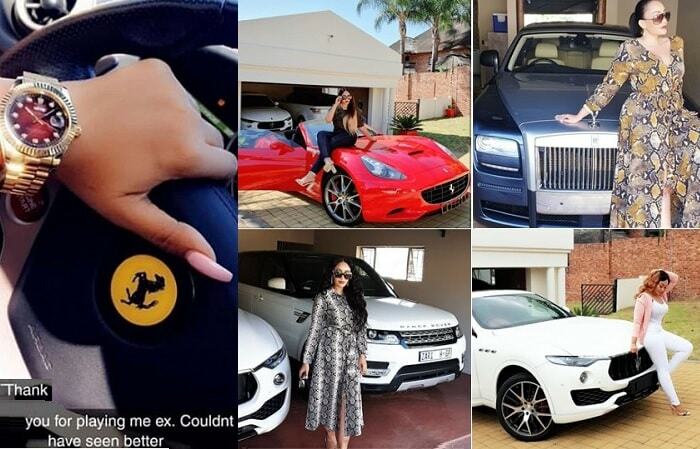 She cruises a BMW convertible, has L-Kay Collections, a fashion house in Kansanga all courtesy of her lover man S.K. Mbuga and now wonders why some people would even think of her not being happy!!! 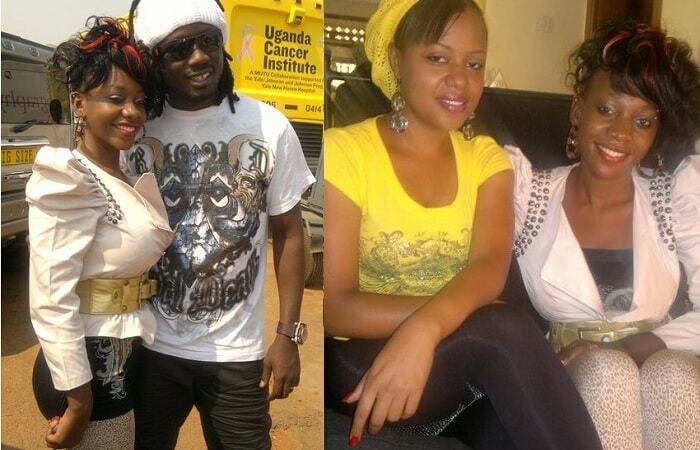 SK is or was dating Leila's elder sister, Fatumah, and they have kids together.